Located in Aviapolis, this hotel is 1.1 mi (1.8 km) from Finnish Aviation Museum and within 3 mi (5 km) of Flamingo Entertainment Centre and Jumbo Shopping Center. Heureka Finnish Science Centre and Paloheina Golf are also within 6 mi (10 km). 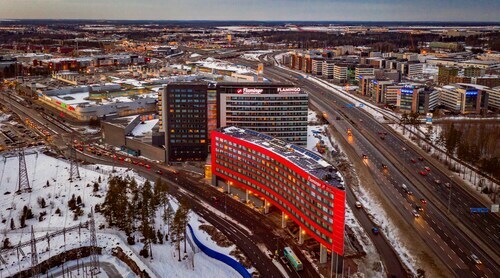 Located in Aviapolis, this eco-friendly hotel is 1.2 mi (1.9 km) from Finnish Aviation Museum and within 3 mi (5 km) of Flamingo Entertainment Centre and Jumbo Shopping Center. Heureka Finnish Science Centre and Paloheina Golf are also within 6 mi (10 km). 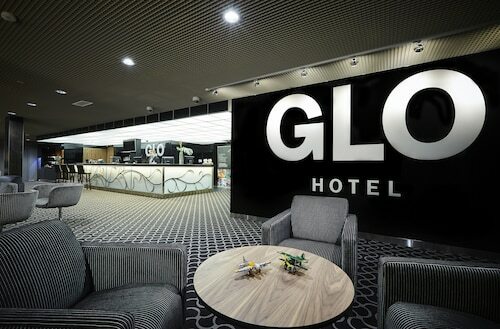 Located in Aviapolis, this hotel is 0.9 mi (1.5 km) from Finnish Aviation Museum and within 3 mi (5 km) of Flamingo Entertainment Centre and Jumbo Shopping Center. Heureka Finnish Science Centre and Paloheina Golf are also within 6 mi (10 km). Located in Aviapolis, this hotel is within 2 mi (3 km) of Finnish Aviation Museum, Flamingo Entertainment Centre, and Jumbo Shopping Center. Heureka Finnish Science Centre and Paloheina Golf are also within 6 mi (10 km). 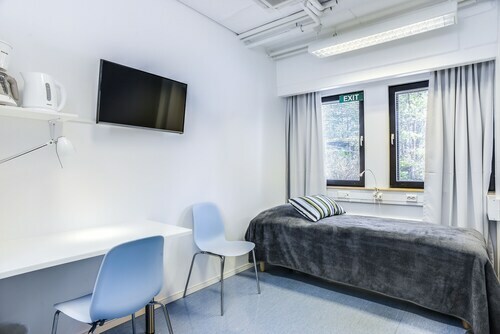 Located in Aviapolis, this hostel is within 2 mi (3 km) of Finnish Aviation Museum, Flamingo Entertainment Centre, and Jumbo Shopping Center. Heureka Finnish Science Centre and Paloheina Golf are also within 6 mi (10 km). 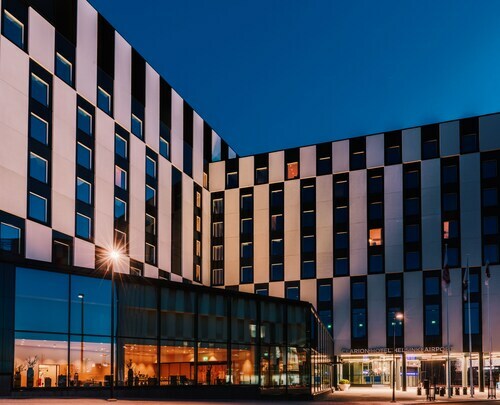 Located in Aviapolis, this eco-friendly hotel is 0.1 mi (0.1 km) from Flamingo Entertainment Centre and within 3 mi (5 km) of Finnish Aviation Museum and Heureka Finnish Science Centre. Linnanmaki Amusement Park and National Museum are also within 12 mi (20 km). 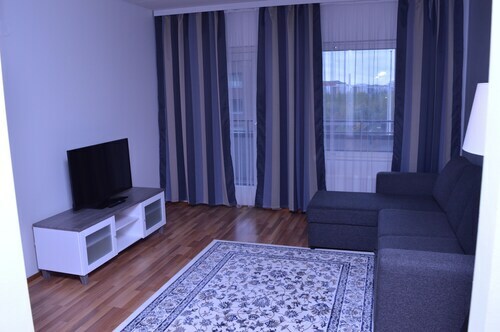 Located in Aviapolis, this apartment building is within 1 mi (2 km) of Finnish Aviation Museum, Flamingo Entertainment Centre, and Jumbo Shopping Center. Heureka Finnish Science Centre is 3 mi (4.8 km) away. Question : How long do most people stay on their visit to Helsinki on average? Answer : The cheapest day to fly from Amsterdam to Helsinki is on Saturday. So, if you want to save a little cash on your next getaway look for flights on Saturday. Question : How long does it take to fly from Amsterdam to Helsinki? Answer : When flying from AMS to HEL, it will take two hours and 24 minutes on average. Remember, there is a time change of one hour. Question : Which airline has the least delays from Amsterdam to Helsinki? Answer : Booking with KLM Cityhopper means you will arrive to Helsinki pretty close to the time your ticket states. In fact, this airline has an 86% on-time average. It never hurts to be prepared. If you should choose this airline, be sure to track the flight status to stay on top of the departure time. Question : From Amsterdam to Helsinki, which day of the week is going to have the most flight times? Answer : With eight total flight time options, Saturday provides the most flexibility from AMS to HEL. However, with only six flight times, Tuesday doesn't offer quite as many options when finding that perfect departure time. Question : What is the cheapest date to fly to Helsinki? Answer : As of Apr 15th, the best day for booking to Helsinki (HEL) is May 10th. A ticket will run you $226, which is 31% below the average price to book the same route. Answer : You sure can and you may save money by changing when you take off. The lowest-cost day to fly in April is Saturday. Being flexible with your travel days can provide you extra savings when booking. Flights from Pearson Intl. to Carrasco Intl. Flights from Victoria Intl. to Indira Gandhi Intl. Flights from Winnipeg James Armstrong Richardson Intl. to Philadelphia Intl. Flights from Schiphol to Edmonton Intl.